< I could not be more excited to feature this new release! Who hasn't rocked out to the music of Smash Mouth?! 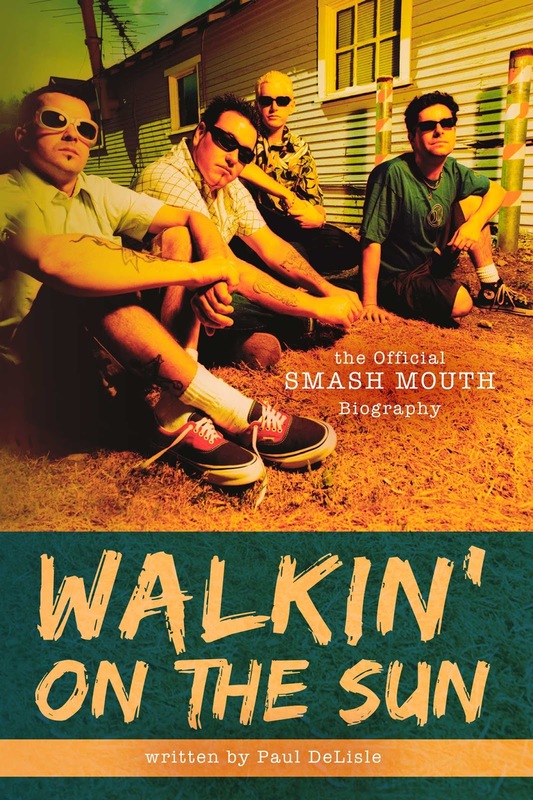 Now you can go behind the music with a band that carried the spirit of a generation in Walkin' on the Sun; The Official Smash Mouth Biography. Hello. My name is Paul DeLisle. I’m the guy who wrote this book. You've probably never heard of me. That's okay. Most people wouldn't know me from Adam. But, unless you've been living in a cloistered monastery for the last fifteen years, you have heard of my band. 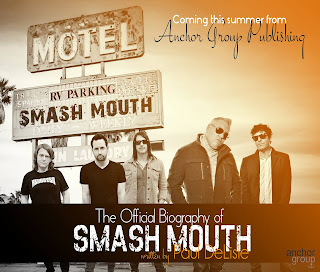 So begins the memoir of the creation, rise, and current state of the multi-platinum recording artist Smash Mouth as told by bassist Paul DeLisle. Well known for their hits “All Star,” “Walking on the Sun,” “Then the Morning Comes,” “Can’t Get Enough of You Baby,” and “I’m a Believer,” the band carried the spirit of a generation, but didn't stop there. Enjoy this behind-the-scenes look from Paul’s unique, there from the start, insider’s view. There's an episode of Cheers where washed-up ball player Sam Malone, frustrated with either Diane or Rebecca, proclaims, "Y'know, most people don't know this ... but I’m famous!" I love that line. I can totally relate. You see, I am a founding and continued member of the band Smash Mouth. Yet I am, proudly and alas, the bass player. I’m not famous. My band is. From the beginning, Smash Mouth was set up as a democracy between four musicians and a manager, each player having an equal voice on band matters. Yet we were all fully aware and accepting of the fact that, as lead singer/frontman, Steve Harwell would be getting a disproportionate amount of attention. Seeing as he is the face and mouthpiece of Smash Mouth, you may be a little disappointed he didn't write this book. But stay with me here. Because as you'll see, I have a unique vantage point: as one of only four original constituents, I’ve been involved in every aspect of the band since day one. Only Steve and I have trod every step of this Smash Mouth journey. Also, while traditionally under-recognized, the bass player himself sees everything. Plus I went to college. 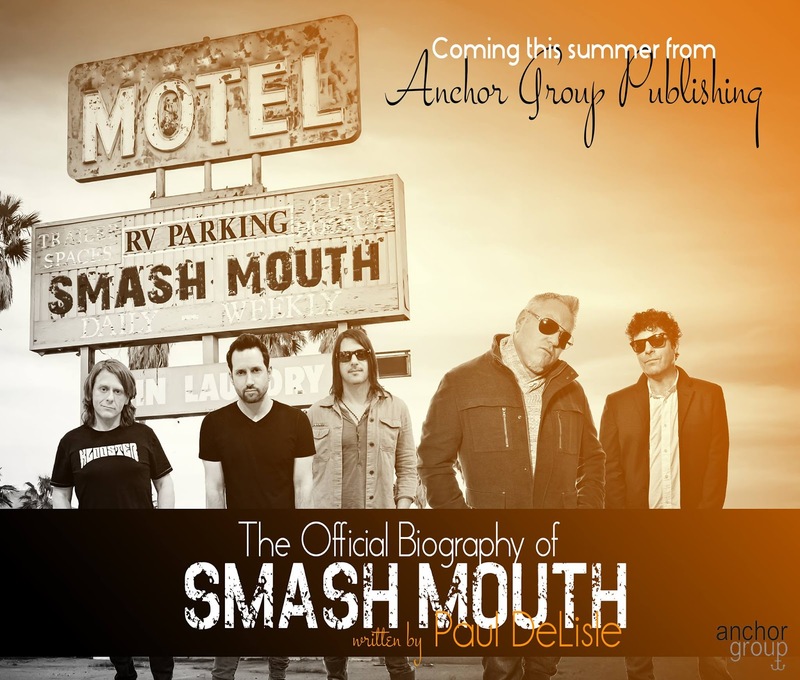 Who better to write a book about Smash Mouth? That said, keep in mind this book is solely from my point of view. Steve, Greg, Kevin, and Robert would obviously have different takes on certain events. However, this book is simply intended as a comprehensive account of our rise to fame and continued success. EEP!!! How awesome is that! Pick up your copy of Walkin' on the Sun today and get your own "backstage pass" to the world of Smash Mouth! Near Enemy is not a book I could recommend to anyone in fact I have been trying to find a way to write this review from the beginning the book was hard to get your attention and then to hold it was non existence. Unfortunately I am rating this a low 2/5. I got a free copy from blogging for books for a review.